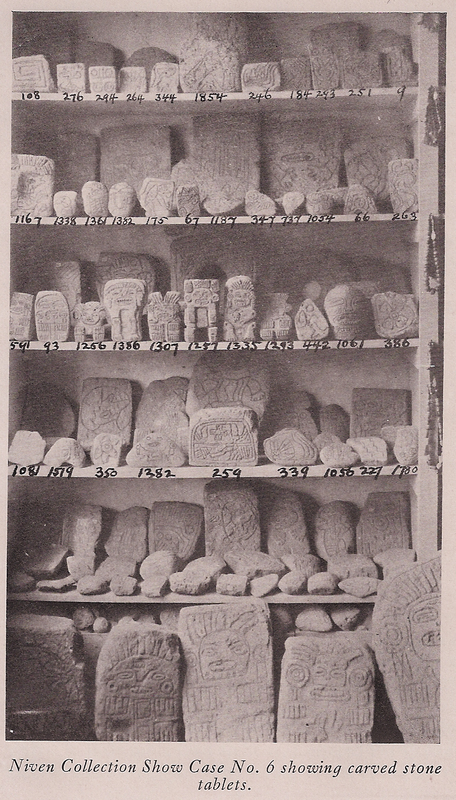 When William Niven closed up shop of his archaeological discoveries in Mexico City to move back to the United States, the entire contents of his store was carefully placed in wooden boxes for the trip. Niven had excavated in Guerrero and the Valley of Mexico for three decades and been allowed to keep duplicates of everything he had found. Literally thousands of relics were found by Niven, including the 2600 tablets that were made famous through James Churchward’s books. 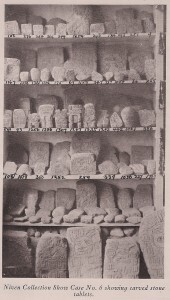 According to Buried Cities, Forgotten Gods, William Niven’s biography, he had an arrangement with the Mexican government that he would give them the best example of any relic, but he was permitted to keep duplicates. Niven donated thousands of relics to the National Museum and rightly felt that he was entitled to maintain possession of his collection. Referencing Buried Cities, Forgotten Gods again, Ramon Mena, head of the archaeological division at the National Museum, estimated that Niven had excavated 40,000 tons of earth and donated more than $10,000 worth of material to the Museum at no cost to the Mexican government. In addition to the material donated to the Mexican National Museum, he also contributed items to the Peabody Museum. 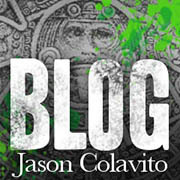 These artifacts are known, however the whereabouts of his collection from his Mexico City storefront remains a mystery. In the past decade, fellow researchers have approached various Texas institutes of higher learning about his discoveries to no avail. Needless to mention is that they were not the first to search for the artifacts. In Part 2, we’ll examine one such earlier attempt.